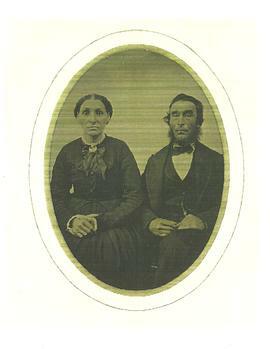 Item is a photograph of Mary (Fields) Wry as a young woman standing next to the mother of her husband, Isaac Wry. 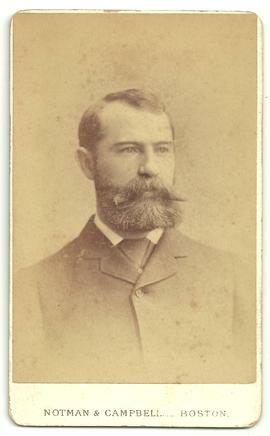 Item is a portrait photograph of Henry C. Read taken by the Notman & Campbell Studio of Boston. "The Young Ladies' Journal - Complete Guide to the Work-Table"
Item is a burgundy-covered instruction journal titled: "The Young Ladies' Journal - Complete Guide to the York Table, 9th Edition". Owned by the Etter family. Item is a framed photograph of Joseph Read's (Read Stone Co.) 'Glenburn' home in Barrowfeild, Cumberland County, Nova Scotia. Collection contains six photographs pertaining to the Dixon family including commercial buildings, school portraits, and one photograph of an unidentified group. Item is a photograph of Mabel Lena Wry as a young woman photographed by R.S. Pridham of Sackville, NB.